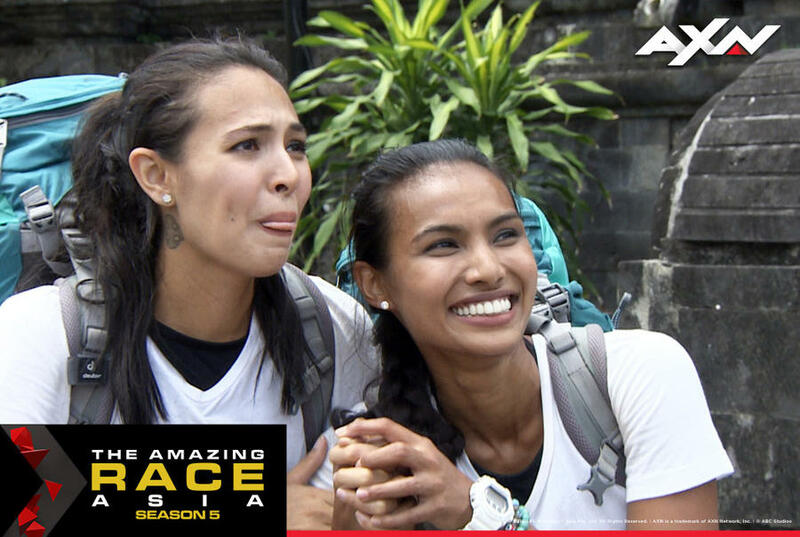 Pinoy power reigned supreme last December 15 as AXN crowned Filipino beauty queens Maggie Wilson-Consunji and Parul Shah winners of The Amazing Race Asia Season 5 (2016). In the gripping finale episode, Maggie and Parul arrived first at the pit stop in Bali with just minutes to spare having survived challenges in 6 countries, 12 cities and over 12,000 kilometres, beating 10 other teams to claim the ultimate USD100,000 cash prize. Hot on their heels were Malaysian beauty queens Chloe Chen and Lee Yvonne who arrived in second place, with Filipino fan favorites Eric Tai and his wife Rona Samson arriving in third. The exhausted but jubilant finalists were welcomed to the last pit stop by series host Allan Wu, and the eliminated teams. 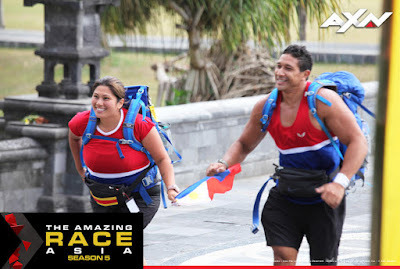 “We warmly congratulate Maggie and Parul on winning this season of The Amazing Race Asia. It was our toughest race yet with several surprising twists and some extremely challenging conditions. All 22 racers should be super proud of what they achieved during their journey. Their determination, camaraderie and sense of humor ensured that The Amazing Race Asia was the top program in its time slot amongst all English general entertainment channels in Singapore, Malaysia and the Philippines,” said Virginia Lim, Senior Vice President and Head of Content, Production and Marketing. Maggie and Parul joined the world’s most famous adventure-reality series in the hopes of winning the US$100,000 for Parul’s family. “It was such a relief to win because the money can help my family, especially my Dad who suffered a stroke. He taught me to never give up in life and I did this to prove that no matter what life throws at you, never give up,” said Parul. Throughout the grueling race, Maggie and Parul stayed in the middle of the pack, but strengthened their position and gained serious momentum in the final two legs. While some fans may have viewed them as underdogs, their ‘Team Pinoy’ strategic alliance with Eric and Rona to take out Indonesia’s Treasuri and Louisa helped cement their victory. “We played the game really well and climbed the ladder ever so slowly. We didn’t want to come in first in any of the legs because we didn’t want to have a target on our backs. Who would have thought that two beauty queens would win! I’m pretty sure we’ll be talking about this moment for decades!” said an ecstatic Maggie. Eric and Rona put up a great fight throughout the competition but fatigue and the stress of the race set in during the very last challenge, putting the popular celebrity couple in third place. “We’ve accomplished so many things that we didn’t think we could do before. We came third but we’re leaving our weaknesses in Bali and coming out of this stronger. So that’s why we’re winners,” said Rona. “What I learned from The Amazing Race Asia is to believe in your partner. Newly married or long term married, you can always work together. You’ve got to believe in each other and just go out and tackle it. This is the best experience we’ve ever had as husband and wife,” said Eric. AXN fans across Asia tuned in every Thursday night to watch the latest drama and hijinks unfold as the 11 teams competed in a series of physical and mental challenges against diverse geographic backdrops. Connecting fans to the racers, AXN hosted Facebook Live sessions immediately after each episode where fans could ask questions and post messages of support to the eliminated teams. The 18 Facebook Live sessions collectively reached 9.5 million fans and garnered over 2.7 million views to date. 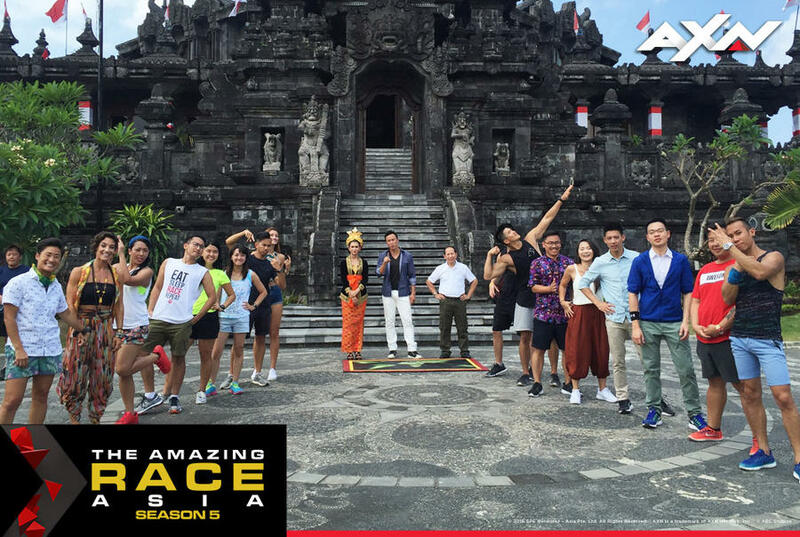 The Amazing Race Asia Season 5 is supported by presenting sponsor Wonderful Indonesia, and partners Garuda Indonesia,Grab and Great Eastern.